Future Agricultures has a diverse network of partners in Africa and worldwide, working together on research, communications and policy engagement. This page gives information about the hosts of our four regional hubs and a list of our research partners across the globe. Our regional hubs are hosted in established academic institutions, and support a network of national, regional, and international partners. Learn more about the hubs and how they work. 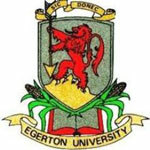 Based in Nairobi, Kenya, the Tegemeo Institute of Egerton University conducts research and analysis on policy in agriculture, rural development, natural resources and environment. Tegemeo hosts the East Africa hub of Future Agricultures. The Institute of Statistical, Social and Economic Research is located at the University of Ghana, Legon. ISSER hosts the West Africa hub of Future Agricultures. Located on the University of Sussex campus, IDS is a leading global charity for international development research, teaching and communications. IDS is the host of the Europe hub of Future Agricultures and currently houses the secretariat. PLAAS does research, policy engagement, teaching and training about the dynamics of chronic poverty and structural inequality in Southern Africa, with a particular focus on land holding and agro-food systems. PLAAS is part of the University of the Western Cape (UWC). The list of partners on each of our research projects is shown on the respective research page.